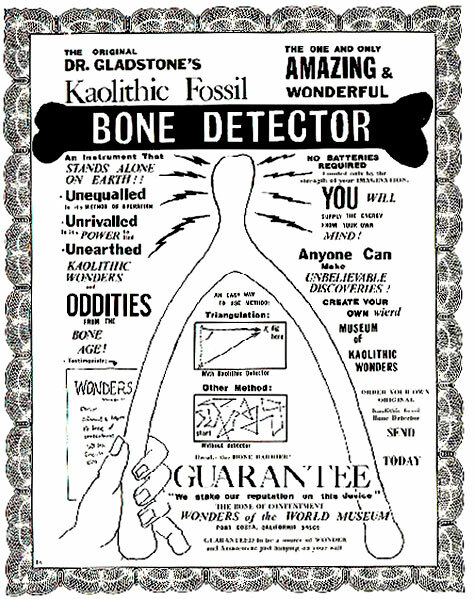 The Kaolithic Bone Detector was invented in 1973 as a tool to help Dr.Gladstone in his search for mythical animals. It enabled him to "break the bone barrier" and to unearth many creatures from the Pre-Credulous Era. The Bone Detector eliminates wasted time with blind, trial and error searching; and ensures success on every fossil expedition. The Bone Detector is fashioned from the sternum of the creature called "Findicus Wishbonus", and it has the shape and the psycho-magnetic properties attributed to the wishbone of the turkey, only larger. The Bone Detector is used like a dowsing rod; the user grasps it in both hands and concentrates on the desired specimen. The clay particles in the bone detector seem to resonate due to "sympathetic affinity" when a kaolithic discovery is imminent. 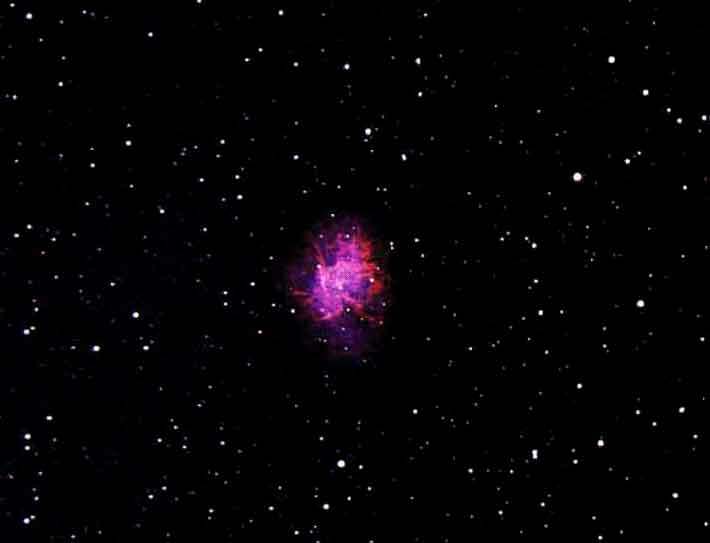 The tip of the detector points and quivers, and the discovery of the desired specimen soon follows.